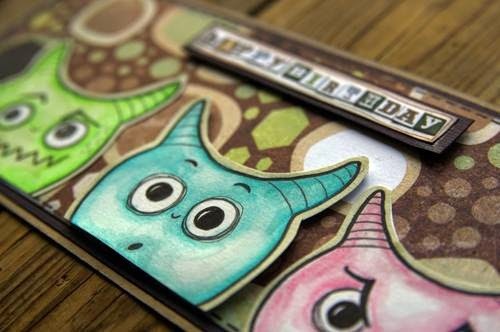 All I have to say about this card from DT member Pia Astrand is this -- a-freakin-dorable! 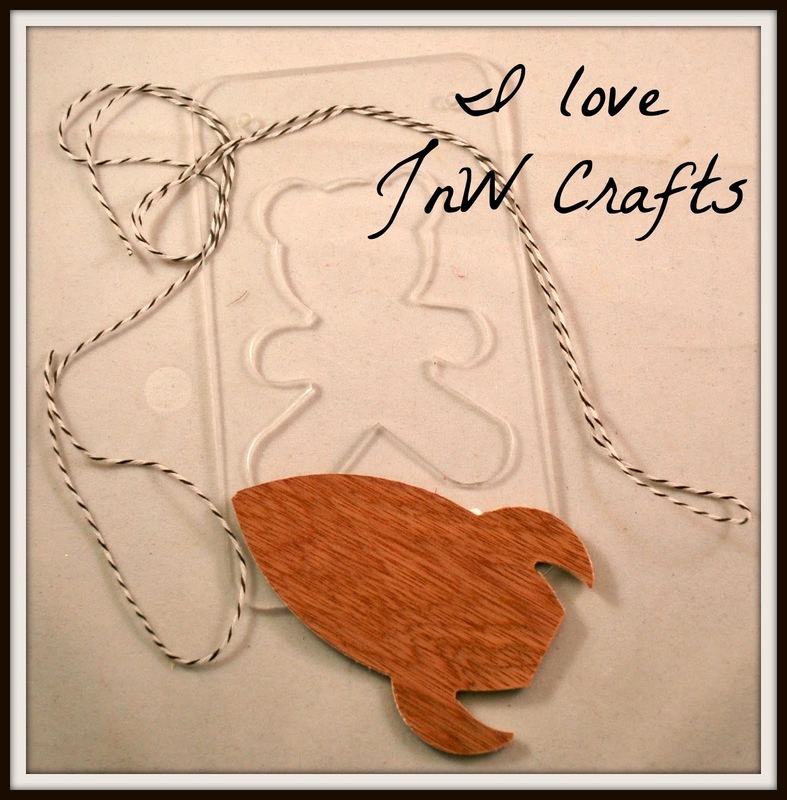 her take on using our tooth template is super creative. I'm a huge fan of using items for things other than their original purpose, and this fits the bill perfectly. I look at it like this, the more uses I can find for a product, the more economical it is in my opinion. Once the monsters were cut out, Pia colored them with Neocolor II crayons. All of the facial features were then hand drawn. I absolutely love the expressions on their faces. This card would be absolutely perfect for the child (or child at heart) in your life. Such a cute card and such a creative way to use the tooth template!